In July, H.O.M.E. leaders, members and friends from North America and all over the Middle East came together to attend the 14th Annual HOME Middle East Summit in Broummana, Lebanon. This year, we had the honor of having the opening ceremony and the banquet occur under the patronage of the President of Lebanon, His Excellency Michel Aoun. The conference included a wide range of activities, such as heart shaking messages from speakers such as Dr Thompson and Dr Awabdeh, workshops, planning & strategic meetings and more! It was a great blessing to see the good work that was done in the spirit of grace and unity despite the dark times that Syria, Iraq, South Sudan, Egypt, North Africa, Lebanon, Jordan and other countries are passing through. 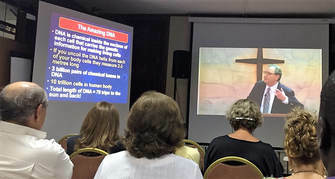 And although Dr. Raad was not able to be with us this year, his presentation on Science and Faith was projected one evening and many local church members and young adults were invited to attend. 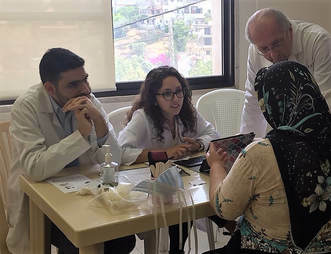 After the conference, the teams made visits to various areas of Lebanon. 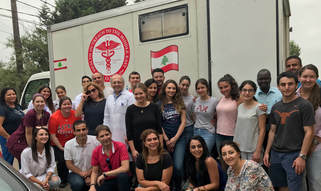 Our faithful nurse and Board member, Jalen Bartek reflected on this part of the trip and said: “With the mobile clinic, we went out to various underserved communities providing medical care to Syrian refugees, Iraqi refugees, and the Lebanese population. 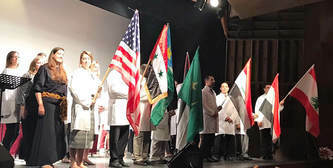 We were health care workers from six different continents and we provided various specialty services, general internal medicine and even ophthalmology. We also served at our HOME local Elpis and Fanar Clinics getting to know the staff and treating patients. We welcomed there many medical students and residents. They came for training but many of them left with a heart to serve the medically underserved people in their country. This was encouraging as HOME's heart is for medical education and to enable and encourage local health care providers to serve those in need.